Hi my name is Bethany Carbajal, I grew up in Wisconsin. After high school I attended Argosy University in Minnesota where I graduated with my degree in Veterinary Technology. 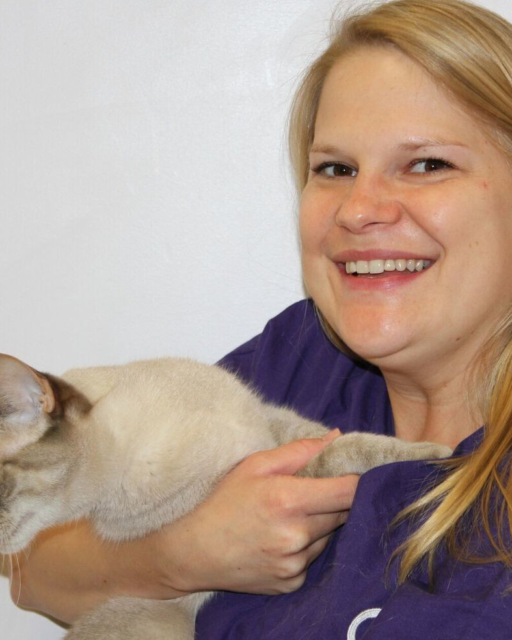 I moved to California in 2014, and have continued working in the Veterinary field as a Vet Assistant. I recently obtained my certification to be a Registered Veterinary Technician. June 2018 is my 10th year working in the Veterinary field. I am married to my husband Israel and we have 3 beautiful kitties, Charlotte, Mackenzie and Madeline. I love spending time with family, and being outdoors.